The EU Summit met in Brussels from 22 to 23 March in order to discuss a wide range of relevant issues. During this last session, the EU leaders were particularly focused on the economic agenda – essentially on trade issues. Presidents and Prime Ministers examined a common solution to develop a shared EU tax system; the future enlargement to Western Balkans; the state of the art of the bilateral relations with Turkey, and of course, with Russia. Right during the Presidential elections in Russia, Europe and especially the UK were stricken by the Skripal Case. The poisoning of a Russian ex–spy, Sergei Skripal, in the territory of the United Kingdom led to bitter tensions between UK and Russia. The UK’s diplomatic retaliation put in practice by the London’s government – sure of the Russian responsibility in the murder of Mr Skripal – translated into a diplomatic victory for the recently re–elected President of the Russian Federation, Mr Vladimir Putin. In a sarcastic tweet, the Putin’s staff thanked Prime Minister May for the huge positive impact that this crisis had on the vote in Russia – more than 74% of voters selected Putin the “strong man” at the poll. Alone against Russia, the UK risked to make the situation quickly escalate so the other EU representers joined the cause against Russia during the last EU Summit. The arrogance of Moscow led to a variety of reactions from a consistent number of EU countries. The Italian Prime Minister said that the EU Summit conclusions towards the Skripal Case were “totally shared”, without halting the direct dialogue between Rome and Moscow. Lithuania stated to be ready to expel “at least one diplomat”, while France defined the recent Russian action a “clear aggression against the European sovereignty”. Mr Macron asked for a “strong and punctual reply” while announcing coordinated measures with Germany. As for Moscow, May is pushing the entire Europe against a harmful clash. The Italian government, as mentioned before, despite not being evasive nor delaying the EU reaction, still represents the most cautious front. In the same day when Russia expelled 23 UK diplomats from its territory, the EU Council –defining the aggression as a serious challenge to common security – expressed its condemnation with the strongest tones for the attack happened in Salisbury the last 4 March. The EU Council agreed in its conclusions with the evaluation made by the UK government about the fact that the responsibility of the Russian Federation in this case might be very probable, and that there is not other credible alternative. The use of chemical weapons is completely banned by international law and the EU Member States jointly stated that they will coordinate on the consequences to put in place, in the light of the answers received from Russian authorities. This is a strong and clear stance for the EU, making sure that there will be further initiatives by several Member States. 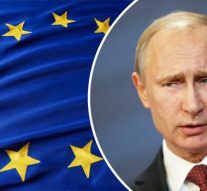 The Kremlin reacted with bitterness commenting the EU decision. According to Moscow, the initiatives taken by the UK are highly dangerous and harmful for the dialogue between Moscow and Brussels. In particular, in the words of the Russian Ministers of Foreign Affairs, it seems that the UK is challenging the Russian Federation even if the investigation has not been even concluded. A crystal-clear provocation against Moscow.